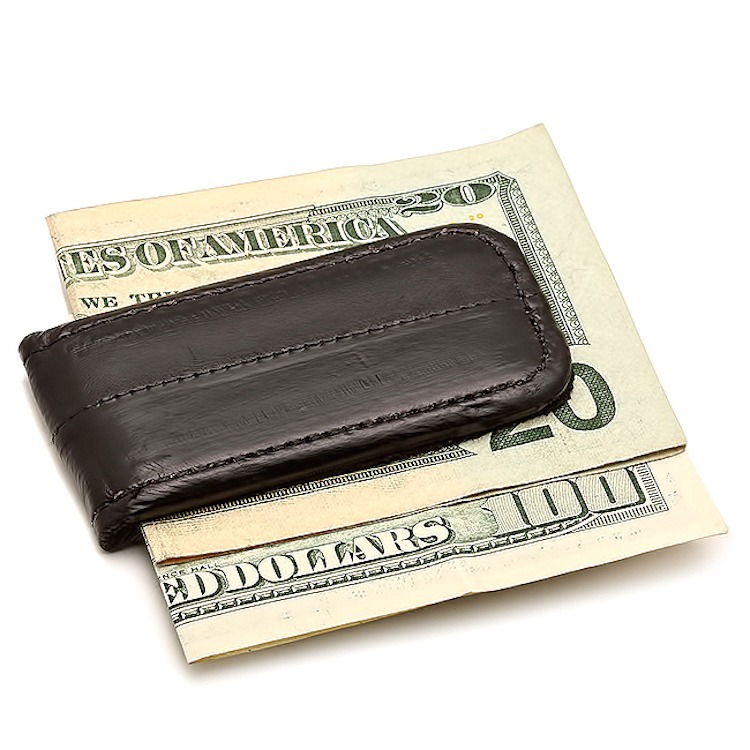 If you searched for best money clip wallets, you'll in the right place! Money clips keep the same functionality of a normal wallet (organizing with pockets, spaces for valuables, etc.) while slimming down the overall size of the wallet. 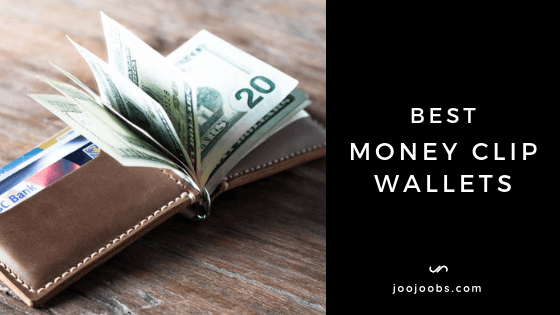 A good money clip wallet can be every bit as helpful and stylish as a traditional wallet, making it definitely worth a look when shopping for a new accessory. 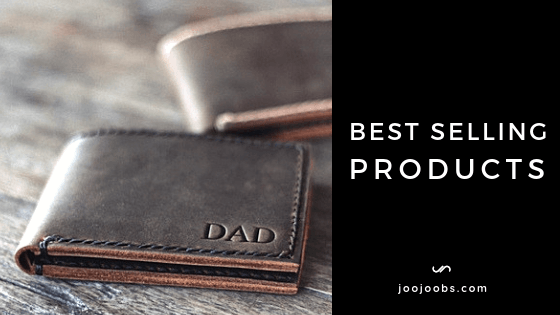 This best-of list counts down the best money clip wallets you can buy online today, highlighting their best features to help you find the one that’s right for you. 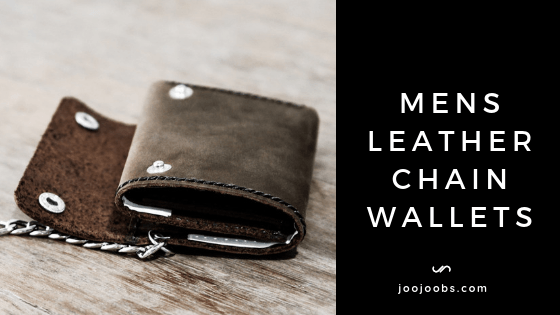 The best overall money clip wallet award goes to the handmade artisans at JooJoobs. 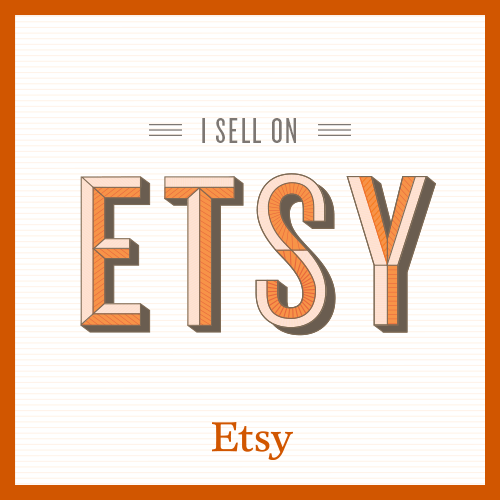 Because handmade, unique, one of originals are more valuable and the most sought after. But there are even more reasons we've put this one in the top spot. So you can add your name, initials, quotes, etc. to your wallet. 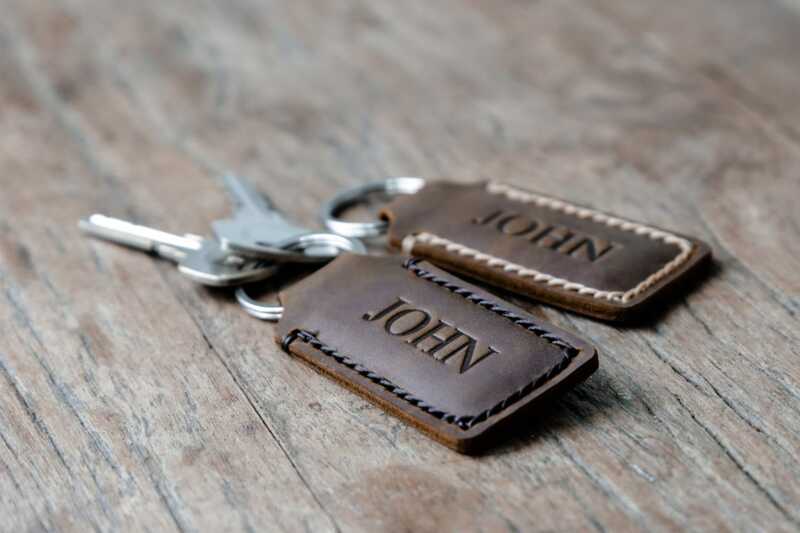 JooJoobs will take your request and burn it into the leather, making a very cool, unique gift item. 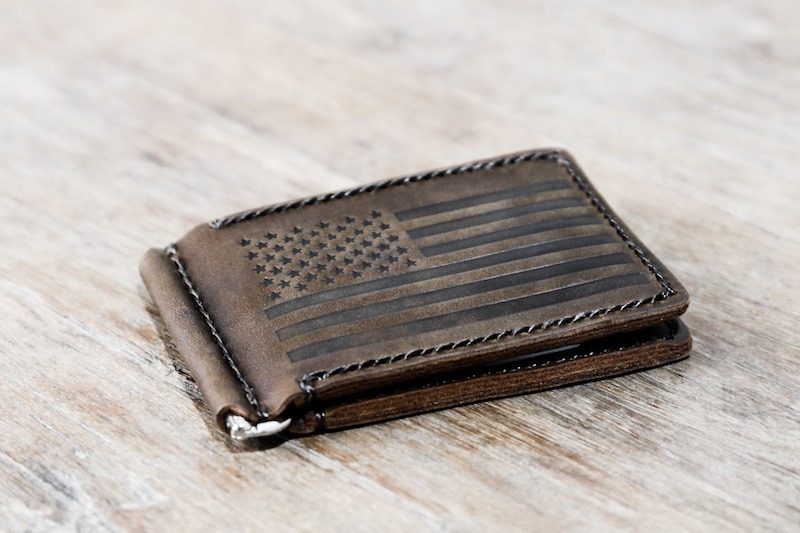 It's really hard to find high quality money clip wallets where the vendor is still using full-grain cowhide leather. Again, this is where JooJoobs beats out the competition. 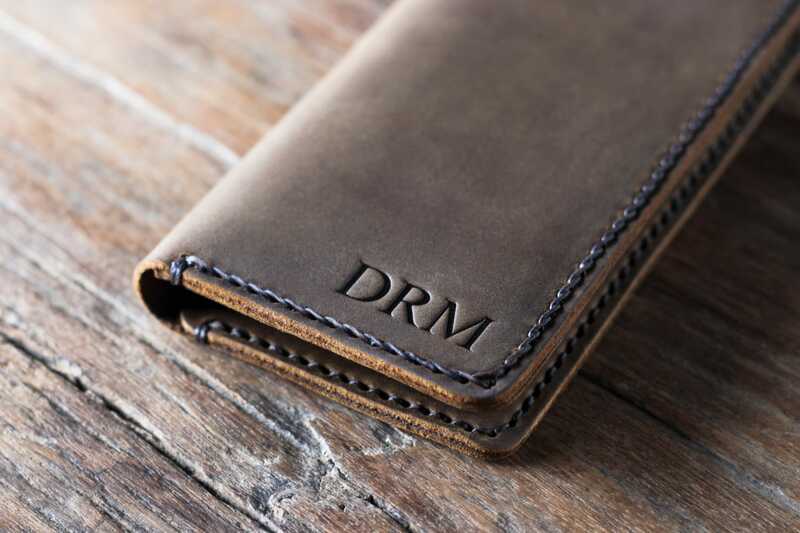 A fairly priced wallet using only the highest quality leather. 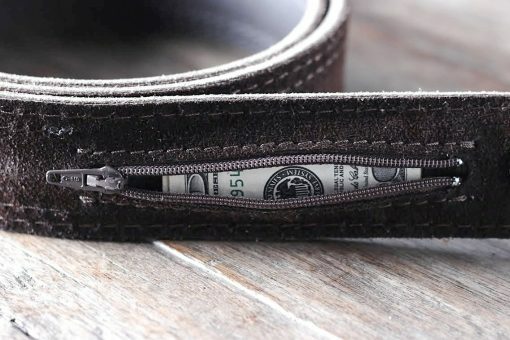 The Big Skinny money clip is rather unique compared to other wallets on this list or even mot wallets in general. 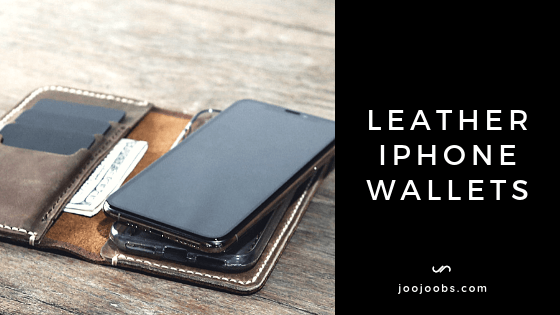 It’s made from a nylon microfiber, it’s able to be extremely lightweight and thin to the point you’d probably forget you even had it on you if it wasn’t carrying so many valuable things (though given the nature of wallets, you might still forget). This doesn’t mean it’s shoddily made, though, nylon still being an extremely durable material that can stand up to most daily wear and tear. When completely empty, the Big Skinny wallet is a shocking 4 millimeters thick, making it like you’re carrying nothing at all. Even when filled, it rarely gets much wider than that. You’d really have to try to make it to even a centimeter. That’s not to say there isn’t plenty of space, though. This wallet is capable of holding up to twenty bills at once, secured with a magnetic clip for peace of mind. It also features three different card slots, each of which can hold about three normal thickness cards each and is rubber-lined to prevent slippage. There’s even a clear ID pocket for extra convenience. 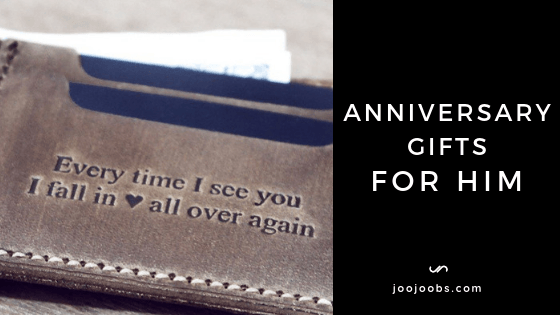 Here is the 2nd JooJoobs wallet to make the final cut. 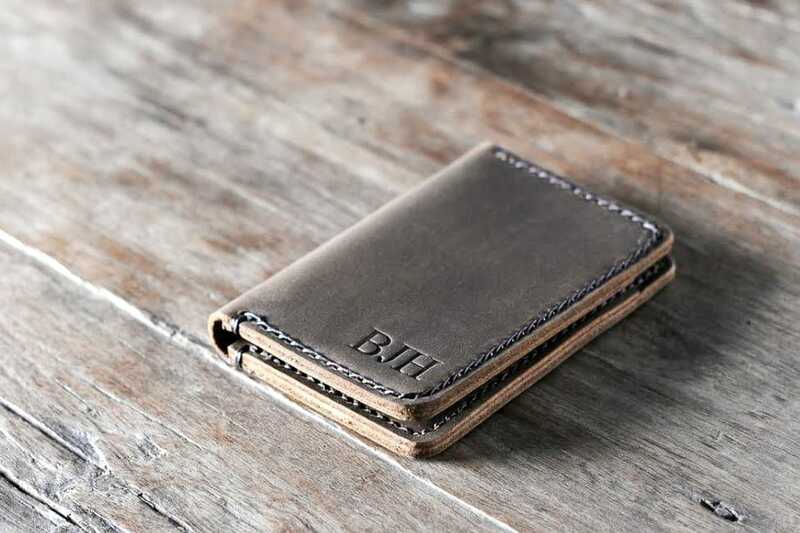 Handmade from distressed leather and a stainless steel clip, this wallet is built to last. 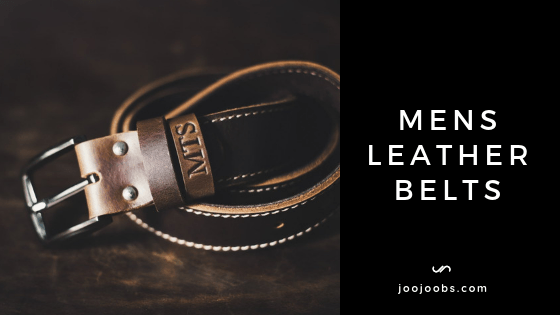 For years now, JooJoobs had impressed the community with their unique distressed leather products but recently, they've started to offer vegetable chrome leather. Vegetable chrome is still a full-grain cowhide leather, just with a different finish. Here are some samples. The Tate RFID money clip bifold is a great choice for anyone who wants the convenience of a money clip with the security of an RFID-blocking wallet. It’s also just nice to look at. At only half an inch thick, this wallet manages to pack a lot into a small package. With six separate card slots and an ID screen on the front, you won’t be hurting for room despite the small size. That’s not even including the secure money clip. 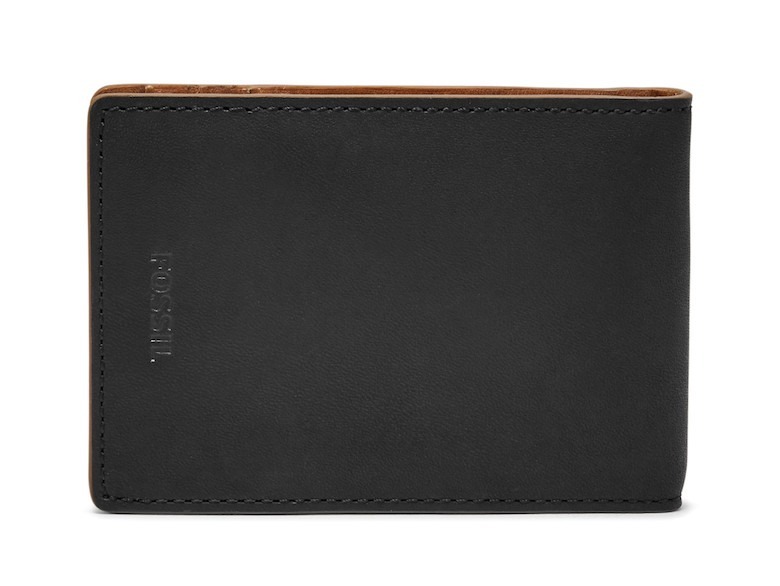 Beyond that, though, the appearance of this fine leather wallet is something else entirely. The soft, supple leather is made even more desirable thanks to the colors it’s available in, including black, cognac (brown), and wine (red). The only downside to this wallet is the genuine leather it's made from. Genuine leather, though the name makes it sound valuable, it's actually one of the lower quality grades of leather. While not technically a wallet in the strictest sense of the word, the Lever Gear ToolCard Pro still functions admirably as a money clip wallet. With a huge degree of usefulness in realms including and beyond holding your money, this is one tool you won’t want to pass up. For starters, this card-sized device has forty different uses. These functions range from its use as a ruler (both inches and centimeters), a bottle opener, a wrench, and much more, all made from heat treated 420 steel that. The star of the show from our perspective, though, is the built-in money clip. Constructed from the same steel as the rest of the tool, it keeps your money, credit cards, and anything else stuck in securely with virtually no hope of it sliding out without you willing it. 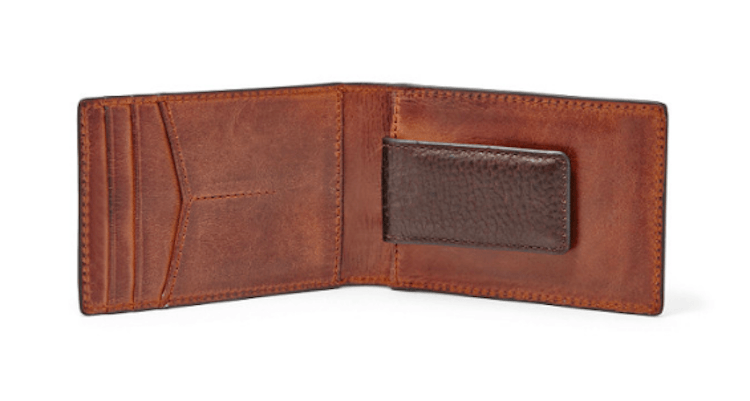 Bosca is one of the oldest and most prolific names in leather, so you should get an idea as to just how good this wallet will be just from that. 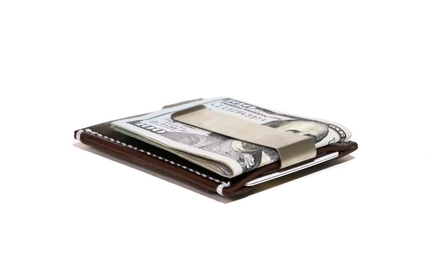 Even beyond the pedigree, though, this money clip wallet is a treat for both the eyes and utility. These money clip wallets are stunningly beautiful with their natural leather color and intricate, precise stitch work along the sides. More than just about any other wallet you could ever find, this is the kind that screams (or loudly suggests, as screaming is impolite) class. Its natural slimness won’t even make it bulge strangely out of your pocket. 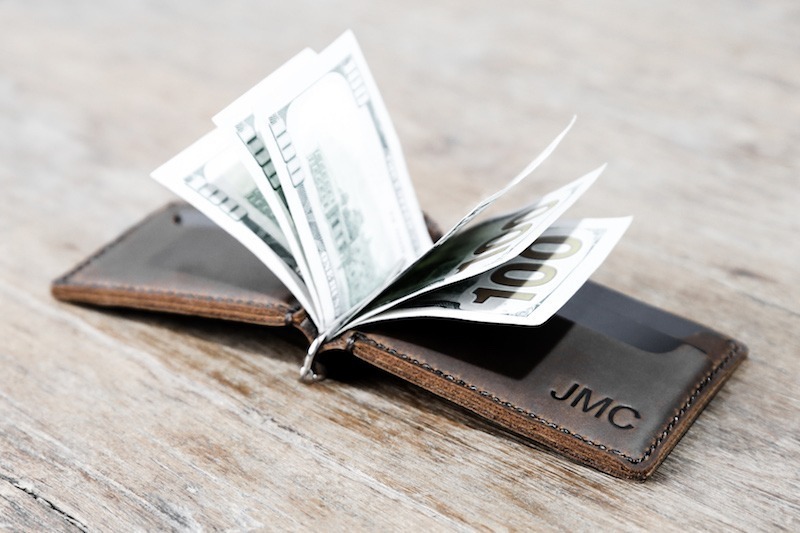 As far as usability is concerned, the Bosca money clip wallet is no slouch, either. It features four card slots and two more interior pockets, making it just as roomy as most traditional bifolds without sacrificing its slender profile. Its money clip is also magnetically held down, preventing any of your valuables from falling out without your permission. The LYNX stainless steel mney clip is an impressive product – so impressive that you forget it’s not even technically a wallet. Even so, it does its job well and then some, more than earning it a spot on this list despite that fact. 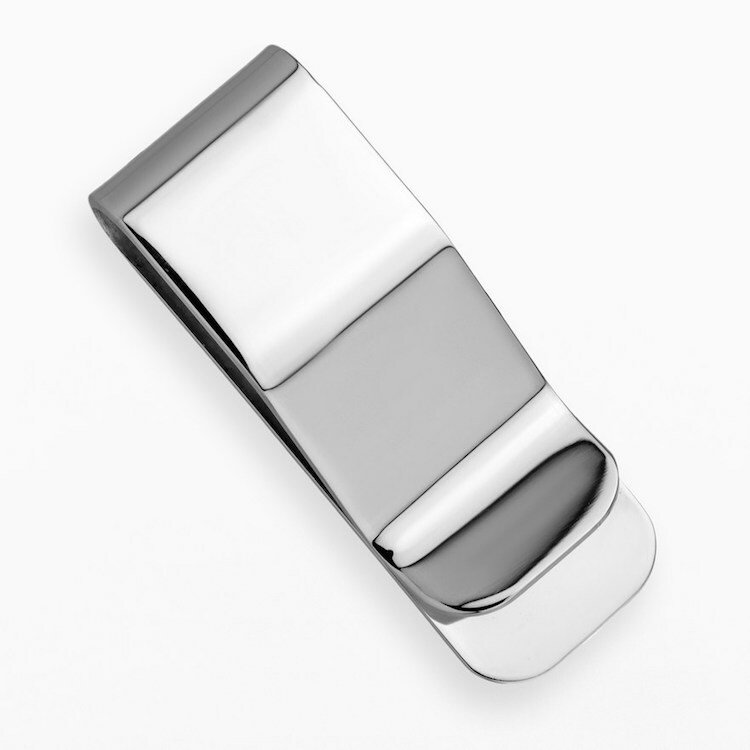 Like the title would imply, the LYNX money clip is made from gorgeously polished stainless steel, giving it a sophisticated look for all occasions. Being only two inches in length, it fits comfortably in any sized pocket without issue. Beyond simple appearances, the LYNX money clip earns its keep quite quickly. 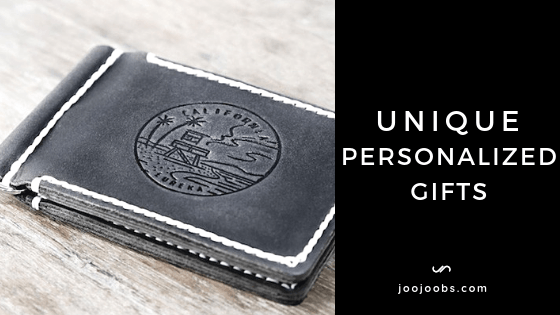 The fact it’s made from stainless steel increases its durability far beyond even the finest leather wallets, keeping your money and cards in a vice grip until you’re ready to use them. This also prevents it from spreading out too extremely when loaded up, both enforcing its intended slim design and reminding you to travel conservatively. The Ridge Wallet is the perfect example of just how functional a minimalist wallet can be. 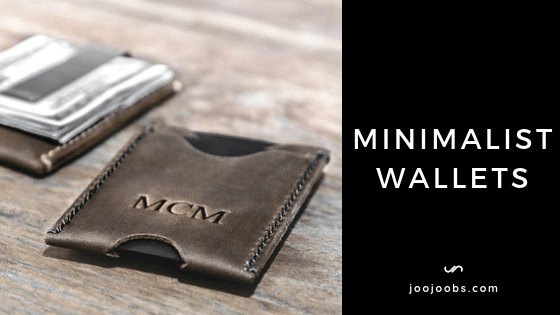 With both a rugged design and superior functionality, it’s a money clip wallet anyone who’s serious about cutting down on pocket clutter should take a closer look at. One of the Ridge Wallet’s best features is its construction. With each side made from strong aluminum, the two pieces are held together by stretchy elastic bands, giving you the room to securely hold as few as one to as many as twelve different cards without issue while letting you easily remove them with a quick access thumb notch. It’s also RFID blocking, so you don’t have to worry about security. Speaking of security, the Ridge Wallet’s money clip is one of its best features. Made from spring steel, it manages to be even more durable than the rest of the wallet, holding strong to your bills until you need to take them out. 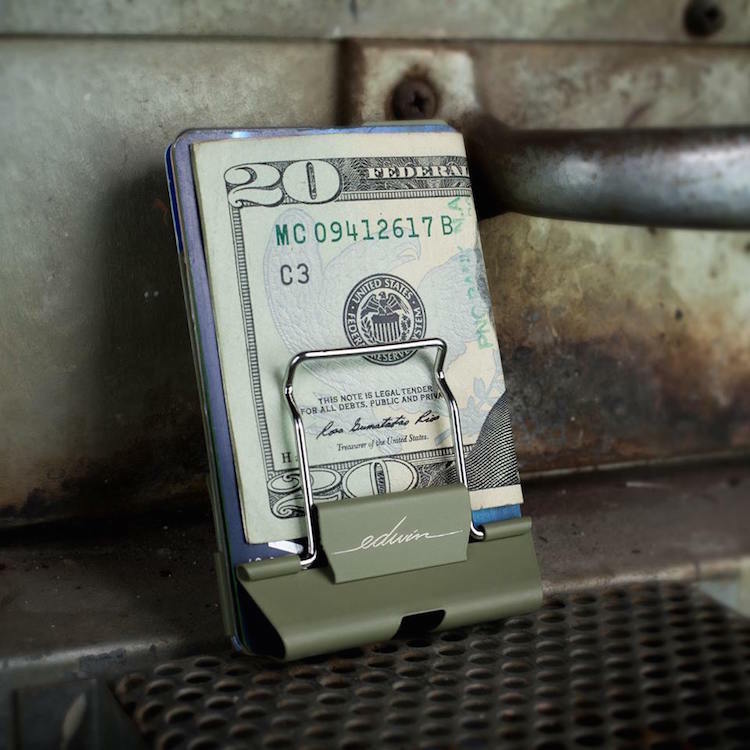 The Edwin Wallet is made in the style of one of those large binder clips. While that description might not inspire confidence, its actual uses and design certainly will. On one side of the Edwin, you’ll find a tough steel clip for holding your money and up to ten cards. There’s also a variant of the Edwin with both aesthetic and functional upgrades. Hexagonal cuts in the top of the wallet can act as different sized hex wrenches, while a notch at the bottom can be used as a bottle opener. For those who like the minimalist style of a money clip wallet but still crave that more traditional look, Fossil has the item for you. 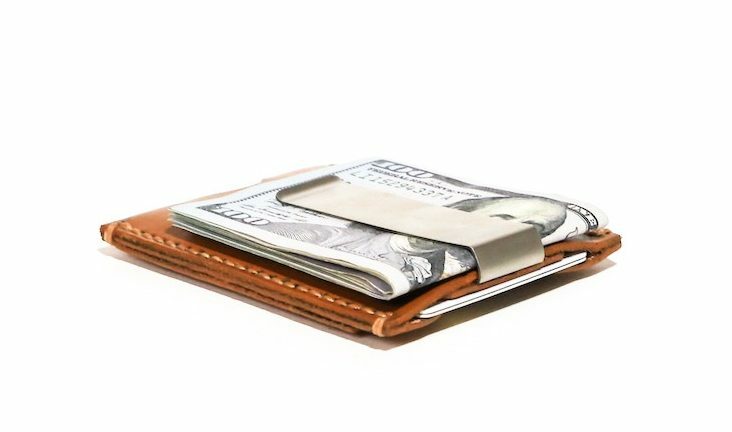 Their money clip bifold wallet borrows its looks from the standard wallet style while keeping the utility and slim appearance of its money clip relatives. For one, the magnetic money clip for this wallet is actually located on the inside of the wallet. This gives you that traditional wallet profile and even provides a little extra security, making it harder for your money to fall out. Aside from that, this money clip bifold also have three card slots and two slip pockets, giving you plenty of room for things besides money. All of this without compromising on looks, with a stylish natural brown leather exterior that’s sure to turn heads, and not just because you’ve got a big wad of cash. Alto’s 2.0 wallet is unique in many ways, chief among them being what it’s actually made from. Being one of the rare wooden wallets out there, this interesting take on the money clip wallet is sure to impress both in style and functionality. The 2.0’s simple design consists of a wooden backing board with two elastic bands on one side. You can slip around a dozen cards in there without trouble, though even just one will hold securely. 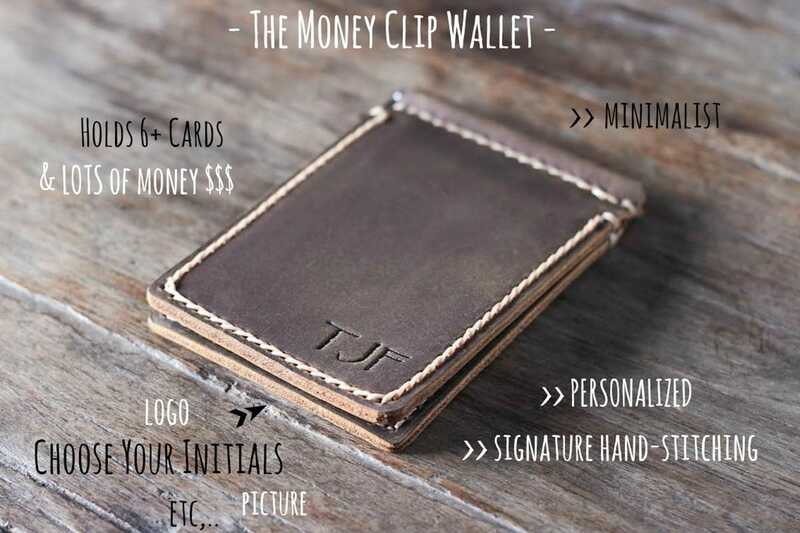 The flip side is a metal money clip, perfect for folded bills and ID. Best of all, you’re able to choose what kind of wood you want for your wallet when ordering directly from the Alto brothers. Though there are only two options right now, who’s going to complain when it’s a choice between rich mahogany and walnut wood? If unparalleled strength and dependability are what you need, look no further than RC Fibers. The D15 money clip wallet they manufacture is made from a combination of genuine Italian carbon fiber and leather, making it nearly impossible to destroy no matter how bizarrely rough you treat your wallets. 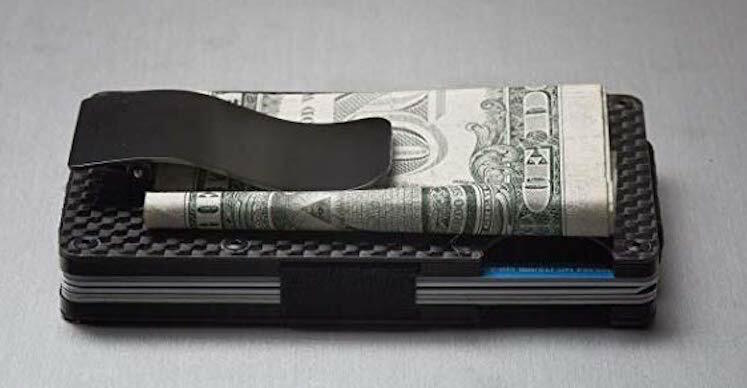 On its own, the carbon fiber money clip is strong enough to last through just about anything, keeping your money and anything else placed between it secure whether you’re dealing with a bumpy car ride or the apocalypse. 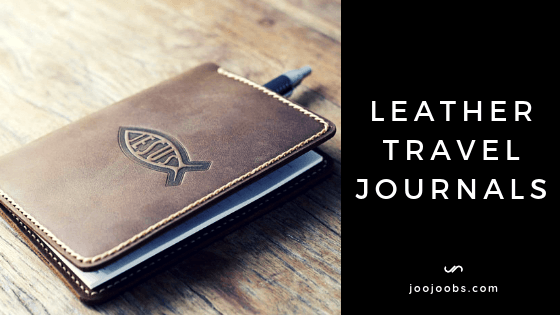 Combine that with the leather insert and its three card pocket design and you’ll be able to carry everything you need without worry of size or security. Security, however, isn’t just limited to how strong or secure the clip is here. This wallet also comes with RFID-blocking technology to help prevent your credit cards from being scanned inside your wallet. It’s like having a safe you can carry around with you. Make sure before you buy exotic leather products, that the material is legal in your country and also make sure the animal is not on the endangered species list. Eel skin is a strange substance. 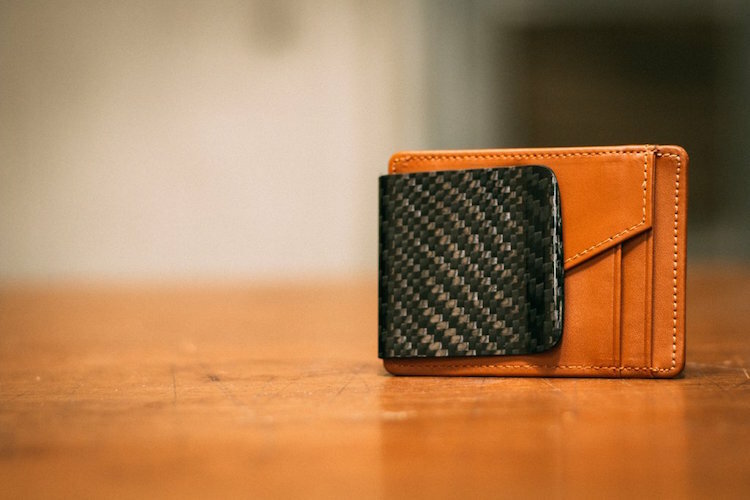 Being one surprisingly strong and pleasantly slick and soft, it’s a wonder more wallets aren’t made from it. 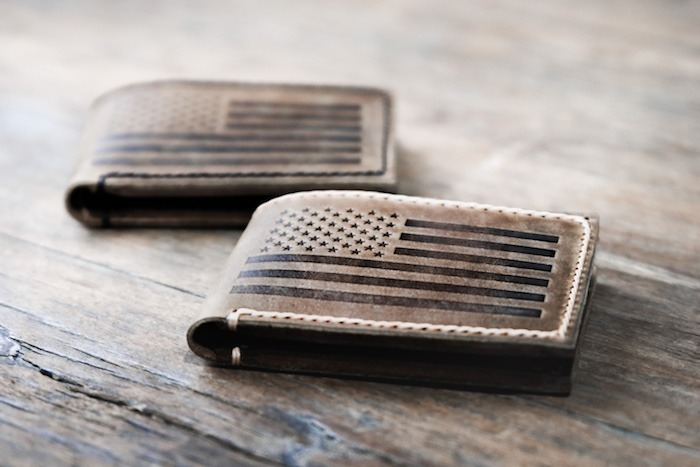 If you don’t mind straying from cowhide, this might just be the next money clip wallet for you. 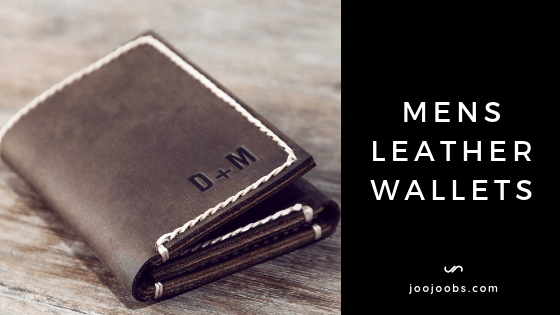 The eel skin magnetic money clip wallet has four pockets for your cards plus an extra side pocket, making room for well over a dozen cards if desired. Like the title suggests, the money clip is magnetic and will keep your cash secured come rain, shine, hail, or anything in between (though maybe not tornado). It also has an ID window. One of eel skin’s main draws is the unique way it takes color. For this reason, you can find this wallet in more standard colors like brown and black but also more exotic options like red, burgundy, and teal. We've also included a few extra money clip wallets that didn't outright win a category but we still wanted to give them a little love. 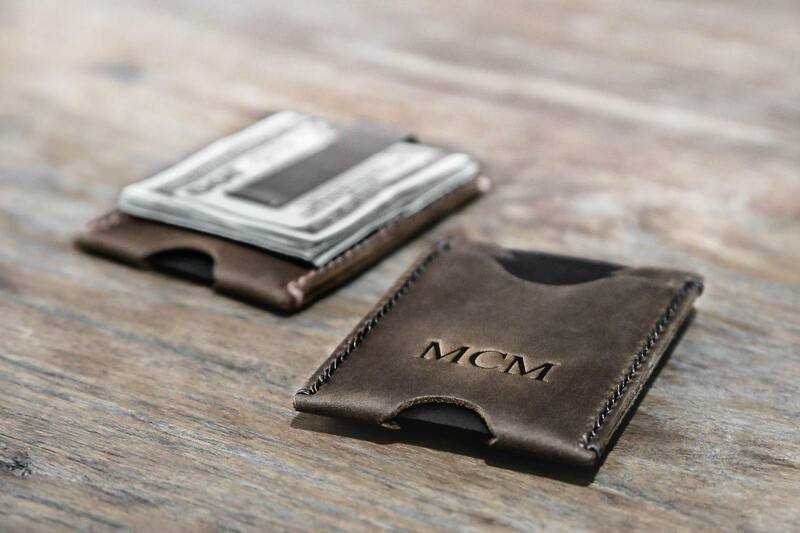 Frye’s Logan money clip card case is made with the same care as all their other leather products. Made from rich Italian leather and constructed to accentuate its natural beauty, this wallet is every bit as nice to look at as it is useful. Made with two card pockets along either side of the wallet, the Logan takes the minimal label and runs with it. Perfect for anyone who tends not to need much but still wants to look their best, it’s sure to please. Uniquely, the Logan’s money clip is actually made from metal covered in more supple leather, meaning you won’t need to compromise security for looks. Secure enough for around a dozen bills at once without losing any of its strength or wearing out, you can rest assured knowing your valuables are safe in this wallet. 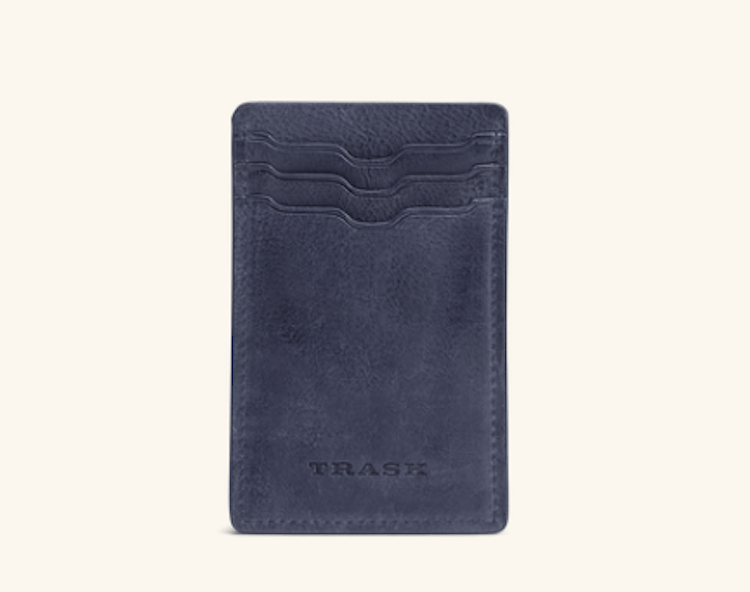 Trask’s Canyon money clip wallet is a force to be reckoned with when it comes to organization. 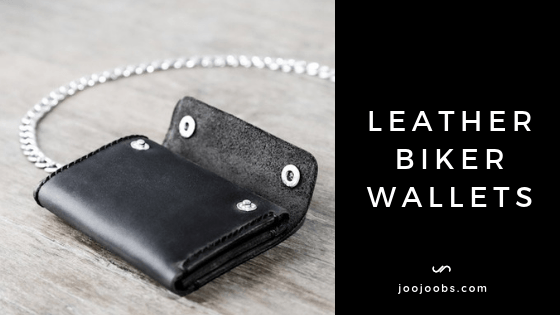 Artfully constructed from soft, attractive black leather, it’s everything you could want in a minimalist wallet with the convenience of a money clip. This wallet features three card cases stacked on top of each other to make it easy to retrieve the cards you want in mere moments. There’s also a center pocket for carrying other things or to simply add an extra card or two into the mix. Finally, the Canyon’s money clip’s already secure grip is augmented with a magnetic hold. This ensures it won’t come loose and drop your cash, working just as hard as you do to keep your things safe and secure in style. 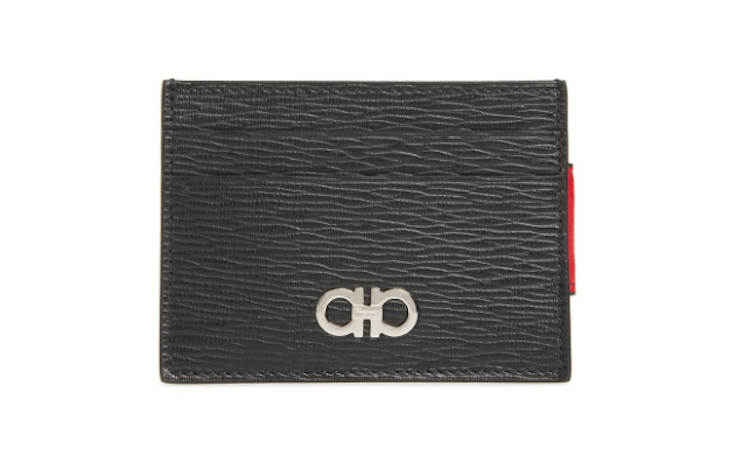 Straight from Italy comes the Salvatore Ferragamo Revival leather magnetic money clip card case. 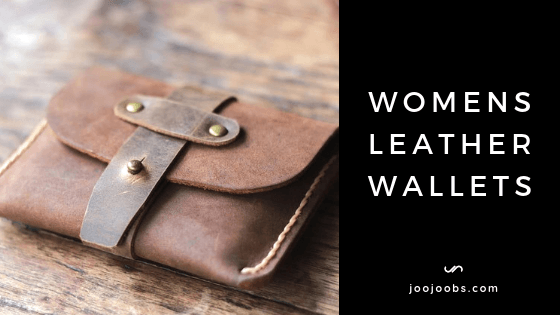 Just like the company’s other fine leather items, this wallet is a thing of beauty, but that doesn’t make it any less efficient at carrying your valuables. Made from supple calfskin leather, the Revival wallet has two card slots with room enough for two or three cards apiece. Even fitting snugly, this wallet manages to stay relatively slim, slipping into your pocket easily almost like it’s not even there at all. On the opposite side is the magnetic money clip. Made from sturdy metal, you’d have a better chance of tearing the wallet in half with your bare hands than getting it to come loose. That’s just the kind of quality you’re dealing with from the Salvatore Ferragamo brand. 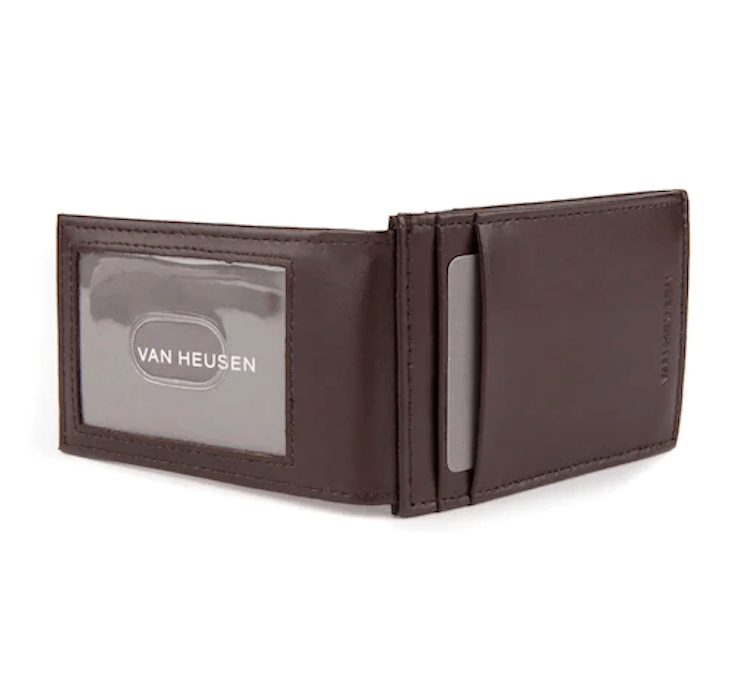 Van Heusen’s take on the money clip wallet is a classy choice for all occasions in sleek, imported black or brown leather. 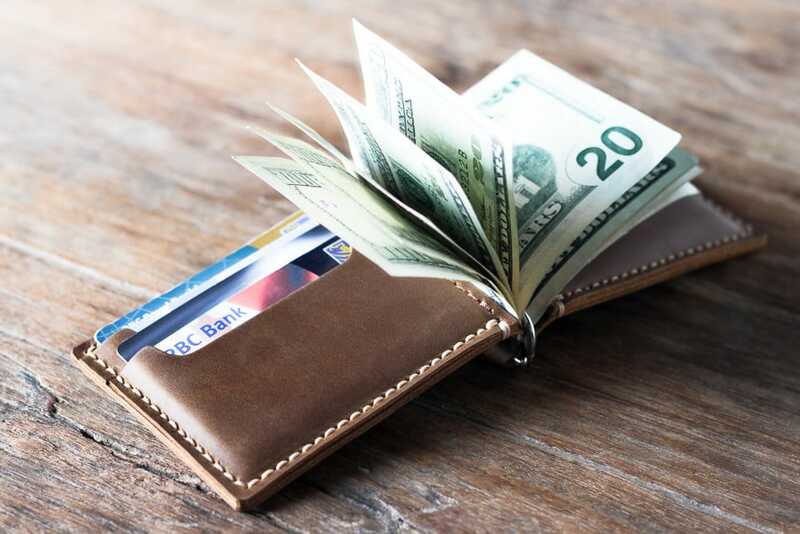 This wallet employs a magnetic money clip that closes your bills inside a single pocket, keeping the wallet closed until you need to use your money. In total, it has three card pockets plus a clear ID screen, giving you plenty of room for your valuables and keeping everything together in a safe way. 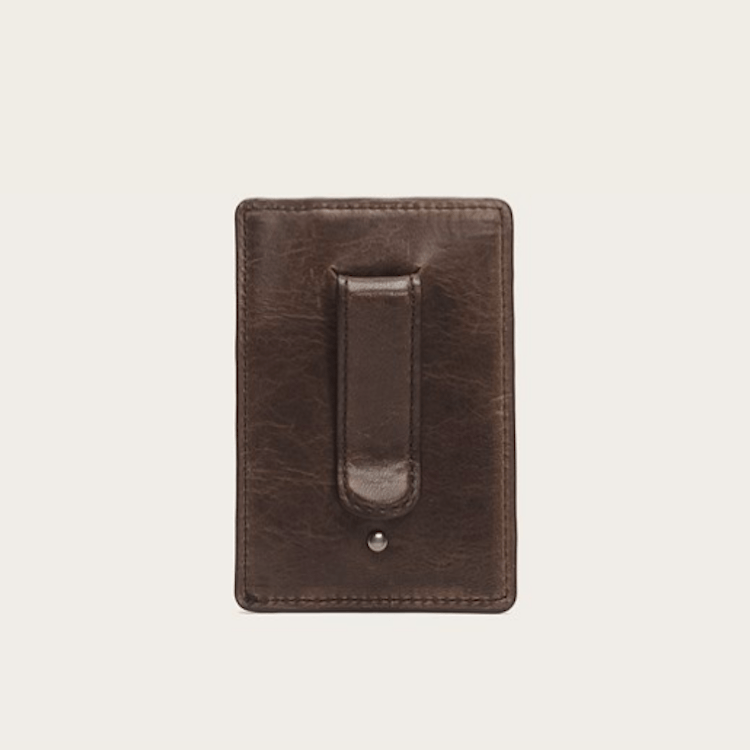 One of Van Heusen’s pocket wallet’s best features comes in part from the leather it’s made from. Given the material’s natural ability to stretch and conform over time, it gives you the potential to fit one or two extra cards inside if need be with a bit of work. 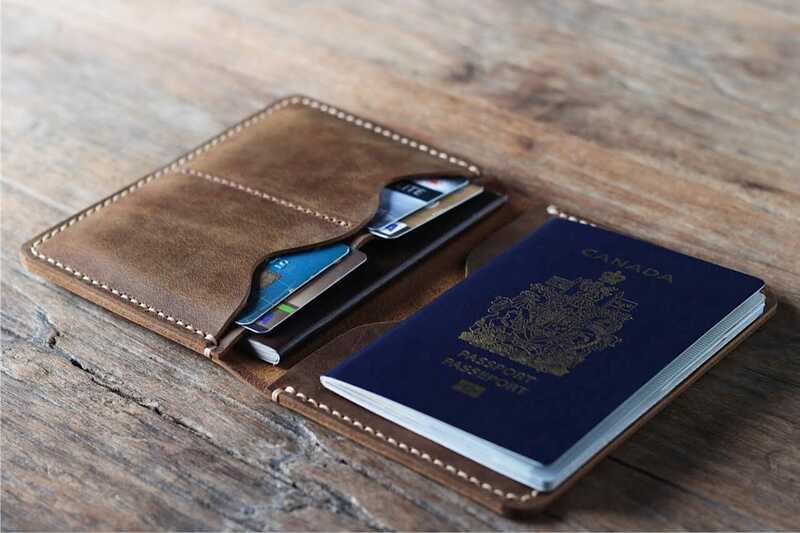 While the goal of any money clip or pocket wallet is to be slim, this gives you a degree of flexibility (pun intended) on how much you want or need to carry around while still traveling light. We're sure you're going to love this last one. Did we save the best for last? Choosing a wallet can be a trickier task than many would think. When looking for that perfect compromise between security, sleekness, and style, make sure to check out these fifteen great options. As the cream of the crop, any one of them would make a great addition to your collection or a perfect gift for someone in need of a style and wallet upgrade.